We Take Pride In Our Quality! 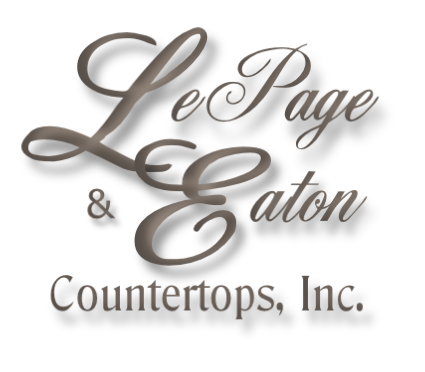 LePage & Eaton Countertops, Inc. is a family owned & operated company with over 25 years of experience in the granite business. We take tremendous Pride in the QUALITY of work we do! 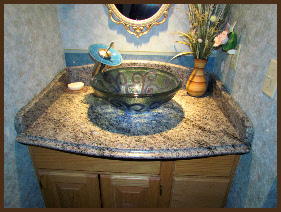 Unlike the “Big Box Stores” we fabricate your countertop from START to FINISH! We will be the company to come to your house to do the template: We will be the company who will cut and polish your granite: We will be the company who installs your granite countertop. We stand behind our work 100%. The process of fabricating a kitchen countertop takes time and patience. We don’t like to hurry while fabricating your countertop because our main focus is Quality. Mistakes can be made when people hurry, and sometimes if a mistake is made on granite it cannot be fixed! Q. What needs to be done to my kitchen before you can do a template? A. The cabinet’s & appliances must be in place. 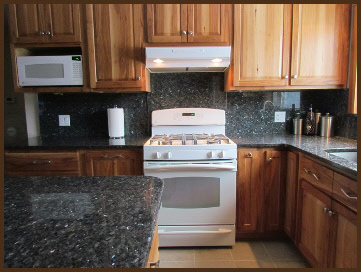 If Remodeling: All existing countertops must be removed and appliances must be in place. Q. Can I use my old sink for my new countertop? A. We recommend using an Undermount Sink , or a Farmhouse Apron front sink . Q. Does there have to be a splice in my countertop? A. It depends on (1) the square footage of your kitchen countertop and (2) the size of the granite slabs for the color you have chosen. Q. If my countertop HAS to have a splice, where will it be? A. Typically we would splice in the sink area, or drop-in stove area (if you have one). Q. How long do I have to wait for my granite countertop? A. We have a customer order list and we try to follow it as a “first come, first serve” basis. Your name will be put on the list once we receive a deposit from you. 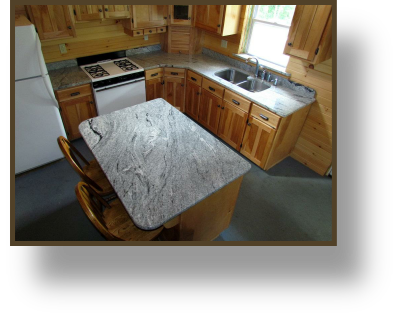 Once we start fabricating your granite, it is usually a one to two week turnaround time until installation.